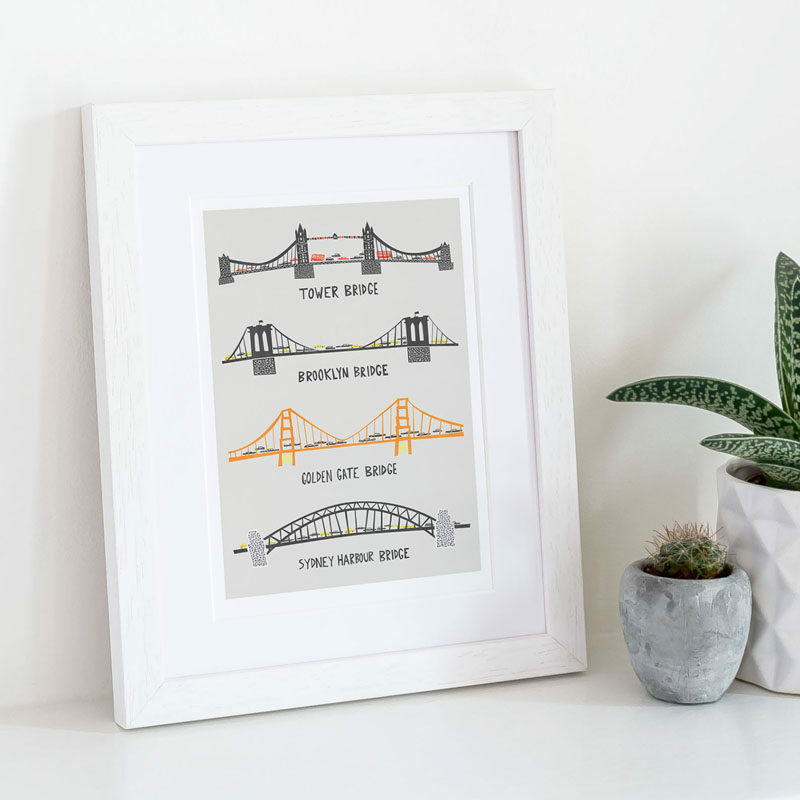 Famous buildings, bridges, and city lines exist all over the world. 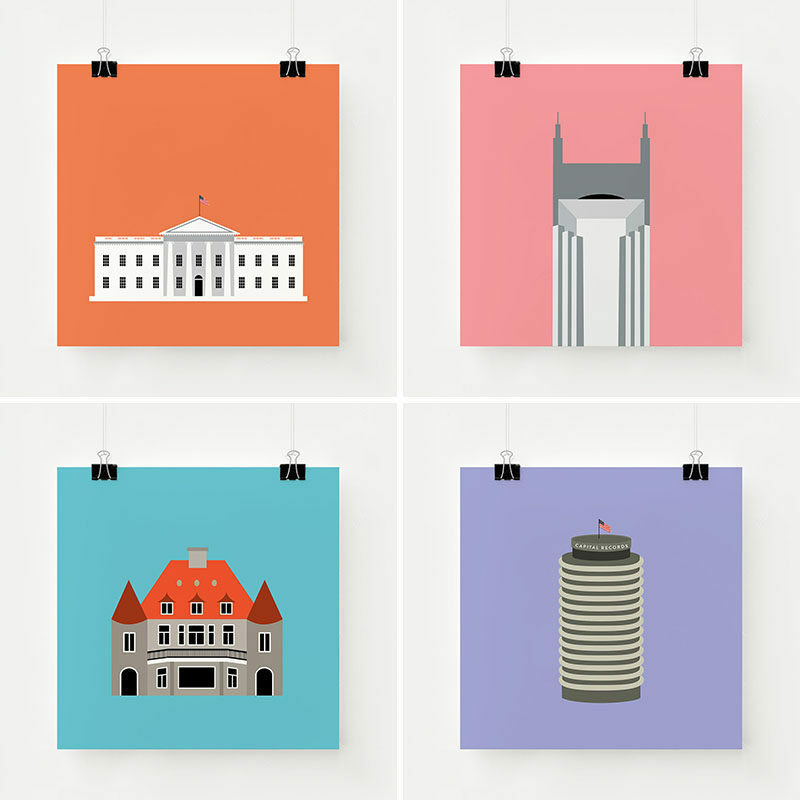 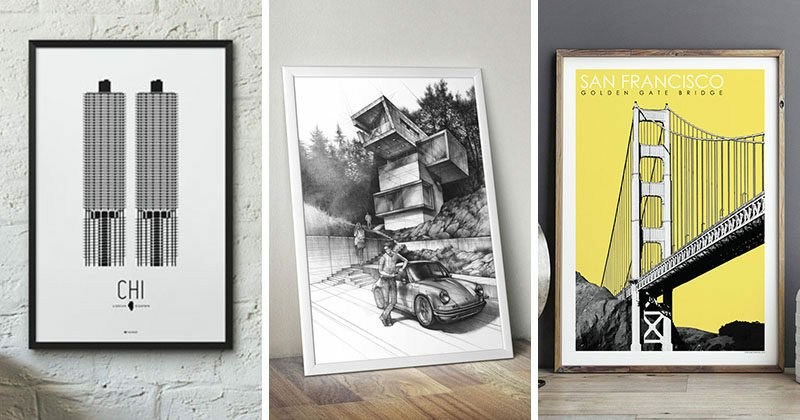 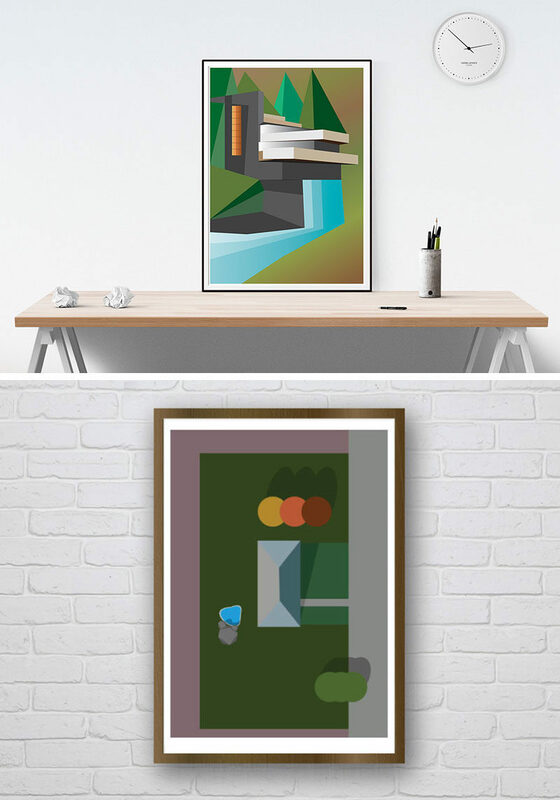 Plane tickets to see them all can get expensive, so hanging modern printed versions of them is a much cheaper way to experience them and always keeps them nearby. 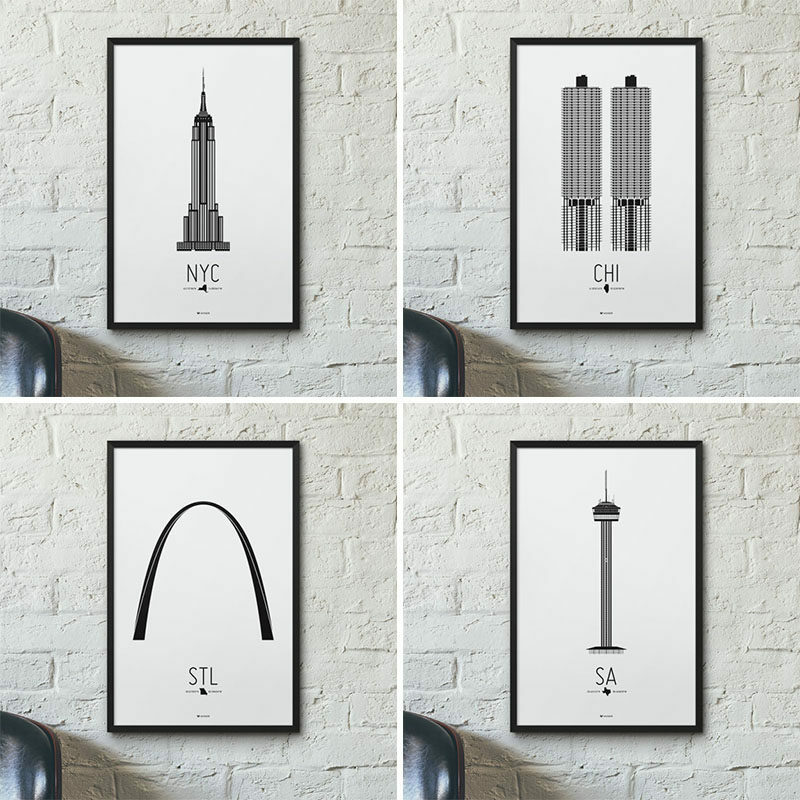 Chrysler Building, Empire State Building, Brooklyn Bridge by Christopher Dina. 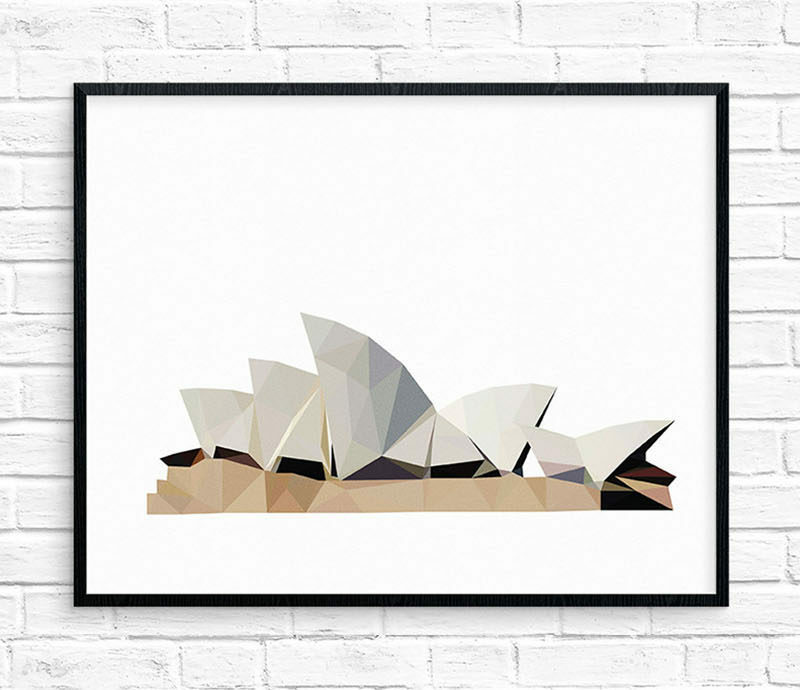 Geometric Sydney Opera House Print by Studio Ush. 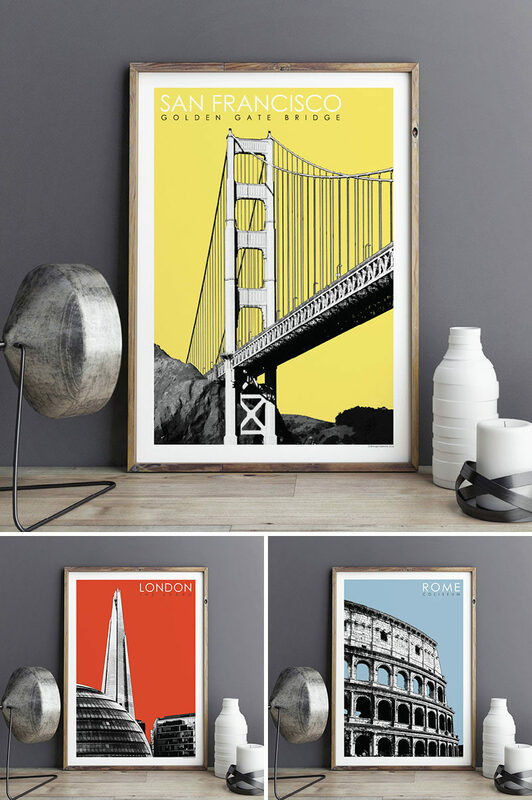 London the Shard Print, Rome the Coliseum Print and San Francisco Golden Gate Bridge Print by Bronagh Kennedy Prints. 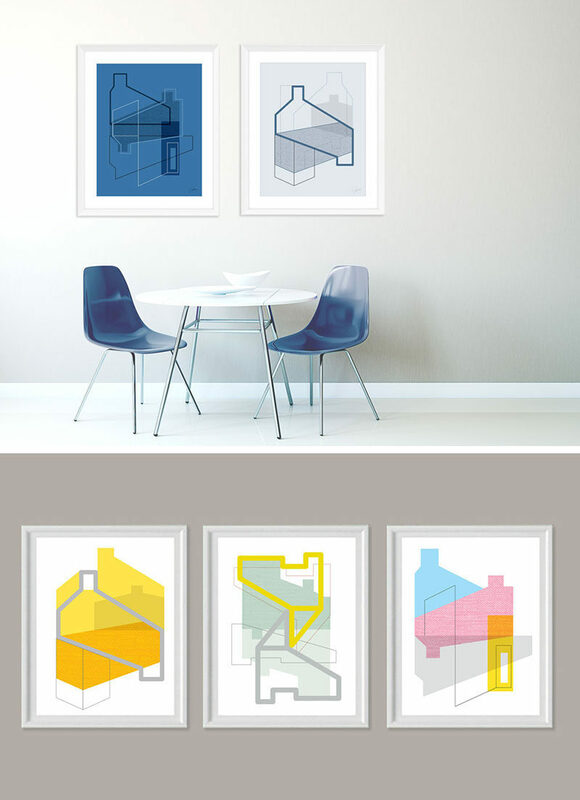 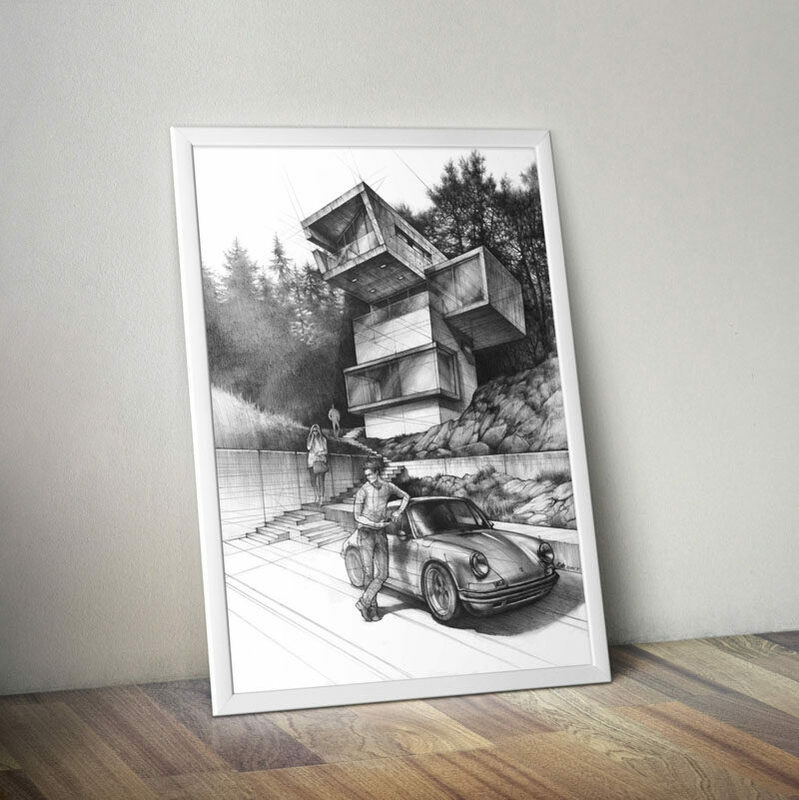 Modern House PRINT by Katarzyna Kmiecik. 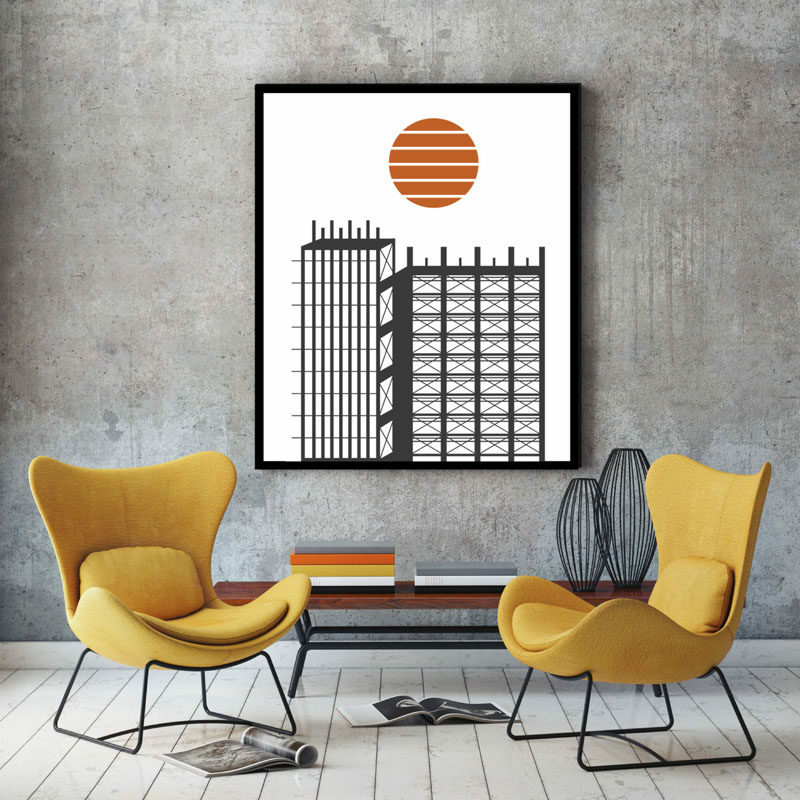 City in construction print by FLATOWL.